I also think if you’re somewhere such as Hawksmoor or the like where they’ll put a burger on the menu and yes, it is sure to be outstanding with excellent meat and talented chefs, wouldn’t you be better off going for the whole piece, the luscious fillet or monster tomahawk and really appreciate meat for meat’s sake? But each to their own, as is the point of having a menu at all. I digress. I am now in the process of being converted. 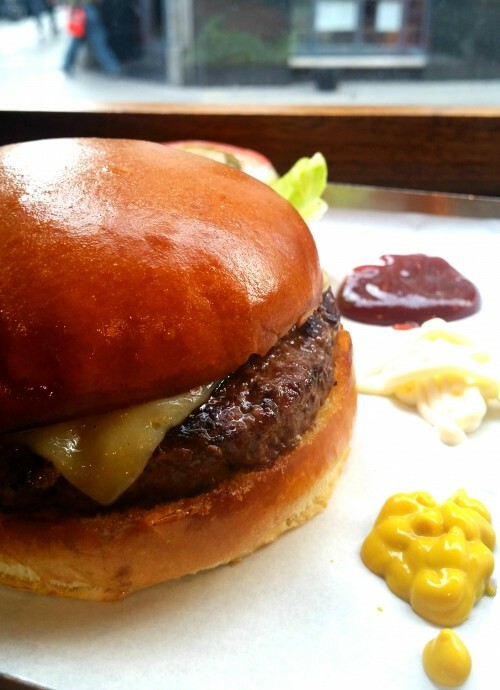 I was invited down to BRGR.CO perched on Soho’s Wardour Street for a quick lunch, so having read some very decent reviews popped over. I’m not a massive chip fan either (I know this is all weird – I also don’t like tea, but that’s it!) 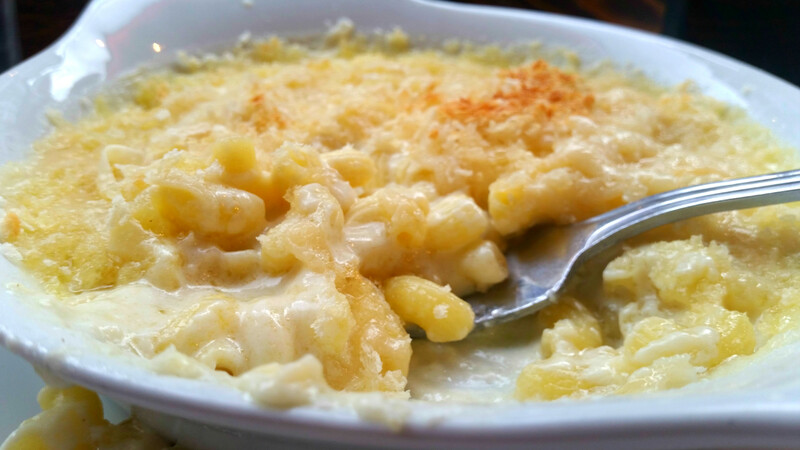 so was very pleased to see mac and cheese on the menu as an alternative side. 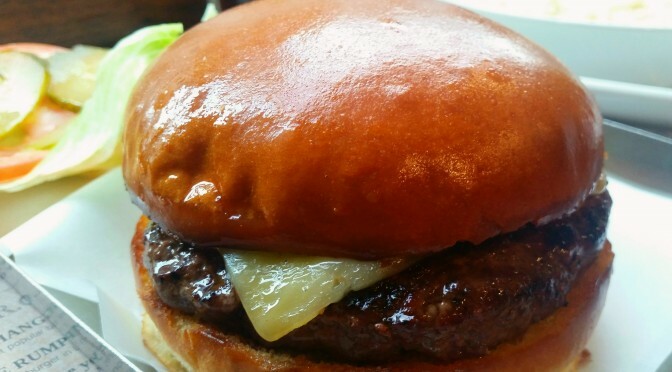 That was my first choice, then I complimented it with a juicy cheese burger (Monterey Jack) and to my delight was asked how I wanted my burger cooked! What a joyful question, I WISH this was more widespread. Medium-rare for me, and 10 minutes later there it was. 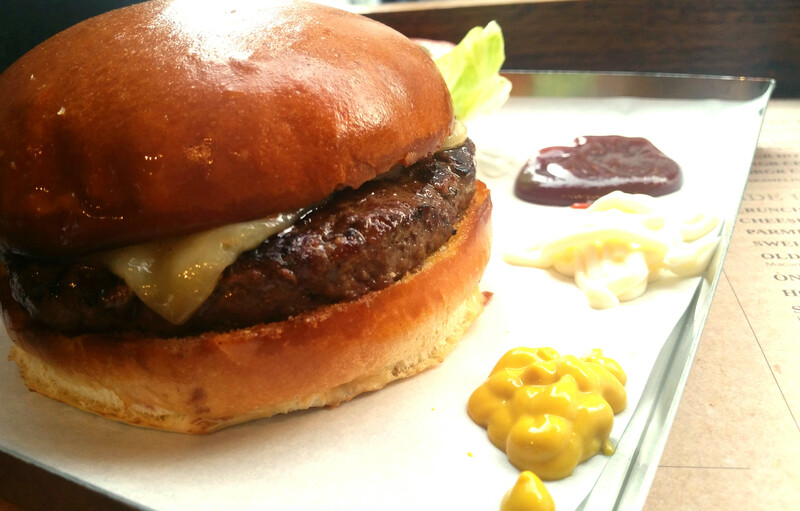 The burger was tender and juicy, with a brioche bun that wasn’t as sweet as some, taking away that weird cakey thing that makes some burgers a bit weird. It wasn’t intimidatingly huge and I happily polished it all off in a lunchtime – not that that’s a huge achievement though to be honest. The fact that it was good enough quality meat to cook rare made it delicious, and definitely one of the best in recent memory. They use Velocity and it was my first time trying it out – I think it’s great, very easy to divvy up the bill if you need to and really quick to use. I am vaguely conflicted about tech innovation in restaurants, as I think part of the experience is a nice rapport with great staff. But when it’s busy, or the staff aren’t really on the ball, or you just want to run it’s a great idea. Either way, a great choice if you’re after a decent, filling meal or on the hunt for a burger in Soho. It’s London Pisco Sour Week!